Having been raised all her life by her gentle and loving grandmother, Honoka is a sweet, easygoing kind of girl... but when she sees a fight, she cannot contain her excitement, or the mysterious power surging within her. Honoka has a strange knack for instantly learning any fighting move she sees. She has kept this power hush-hush, but has been itching to test it out in secret. 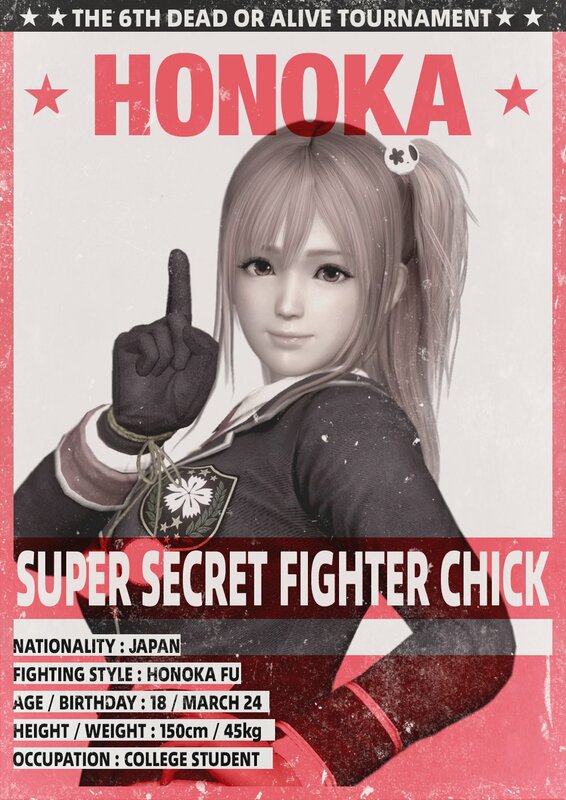 Honoka studies her favorite moves from various sources and fighting styles, and combines them into a unique style which she calls "Honoka Fu". Since her build is that of an average teenage girl, her moves, while skilled, may not always pack the same punch as the fighter she learned them from. In her Hissatsu-no-Kamae stance, however, she is imbued with an unbelievable strength and becomes capable of techniques she has never seen from any other fighter. She is 18 years old. 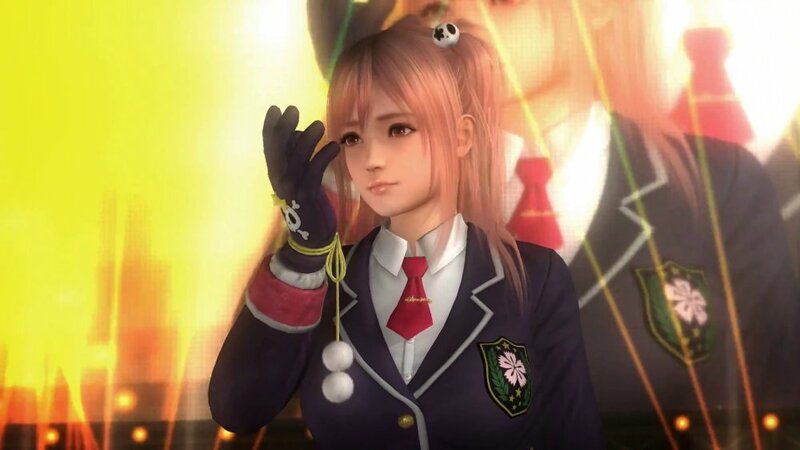 When the time finally came for the Dead or Alive series to get a Mokujin-type character... of course, let's not make them a different, interesting-looking character. What does the DOA series desperately... desperately need? 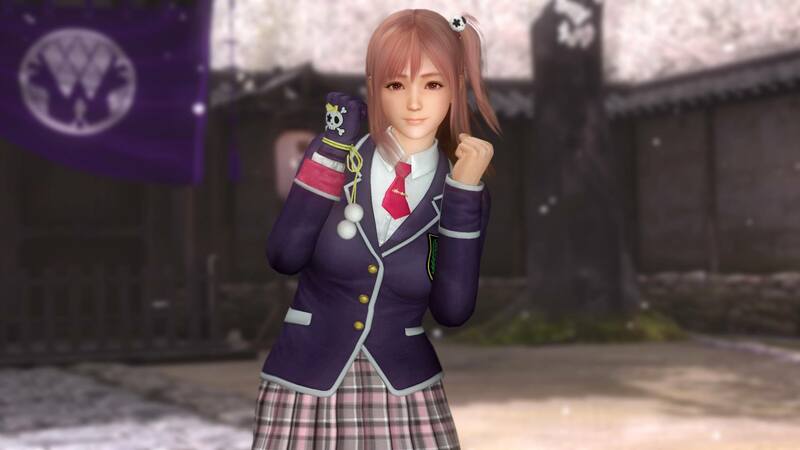 DOA dev: "I was thinking, a well-endowed 18-year-old schoolgirl." >_____> Woooow. 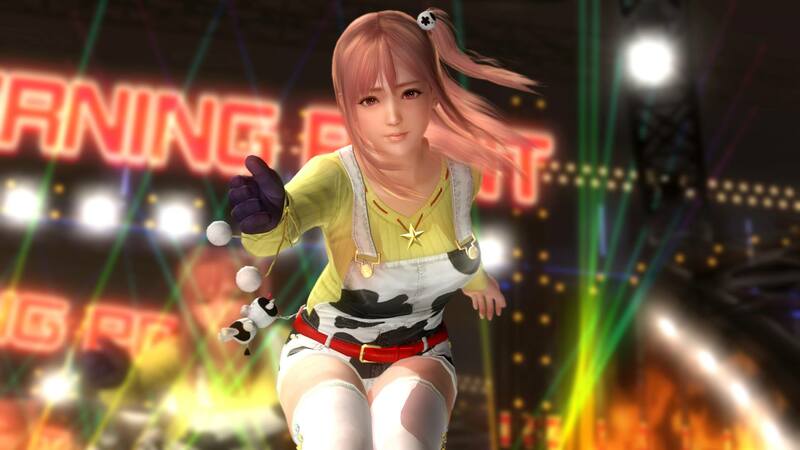 I suppose seeing Honoka perform Jahn Lee's flying kicks, Bass's pro-wrestling clothesline, Brad Wong's drunken moves, and Lisa's breakdancing kicks is entertaining for those who get off on cheap laughs... or get off on other things... I don't know. -__- At least she's not completely annoying, and some of her "alterations" of moves combinations is somewhat interesting. Honoka's default visual design is pretty generic, but not bottom tier at least. Overall, she's still a very typical DOA female in every way. 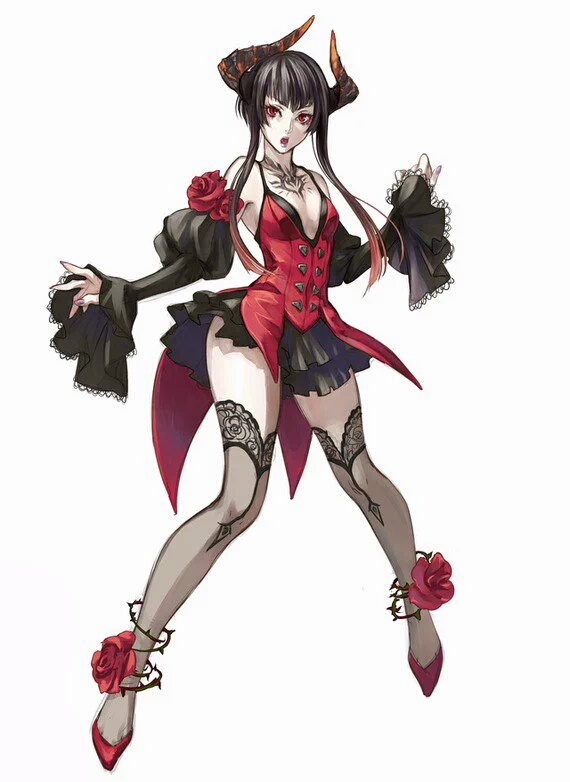 Thanks to Tecmo Koei, I feel like I've "reviewed" the same girl about 9 times now.